N37741 at Renton, same neat colours. C-GMSX at YVR in HYACK AIR titles, at end of lease. N37741 on the Renton - KRTN ramp. N37741 getting some work done at Renton. 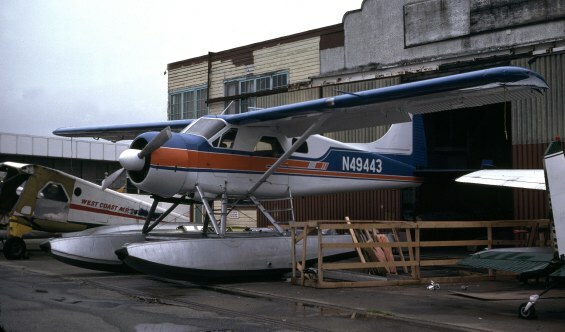 N37741 with Dean Carroll, up in Alaska. 51-16801 with unusal code markings. • 51-16801 US Army #1083. L-20A No: 84. Command A-2. Delivered 30-May-1952. Built as L-20A and Re-designated U-6A in 1962. • 51-16801 For sale @ Coleman Barracks, Mannheim – Sandhofen, Germany. Seen 28-Aug-1972. Note: Total time 4,900 hours. • No Regn Bought by B-M Aviation Ltd., Lachute, QC. 01-Apr-1973. 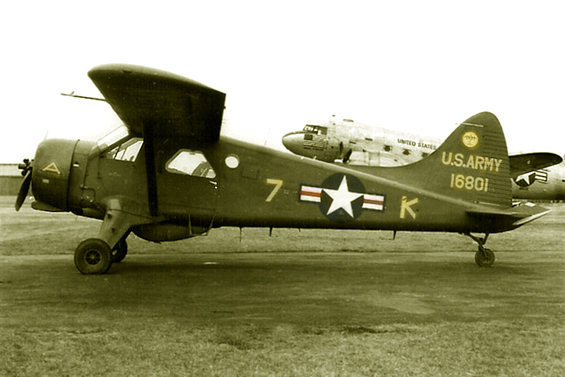 (One of the 64 US Army U-6As purchased in Germany in March 1973 by Laurentian Air Services and sold off individually by B-M. Aviation from a bonded compound at Lachute, QC). • N37741 Kenmore Air Harbour, Seattle, WA. • N37741 Dean Carroll, Anchorage, AK. Purchased in an “as is” condition. • N37741 Alaska Travel Air Inc., Anchorage, AK. Circa 1975 – 1978. Accident. Whittier, AK. 13-Sep-1978. Aircraft flew into blind canyon in adverse weather conditions and crashed into ground in controlled flight. Aircraft substantially damaged. Pilot and five passengers killed. ANC78FA078. • N37741 Harold J. Hanson, Seattle, WA. Regd Dec-1978. Entries preceded by date are from Transport of Canada Archive data. 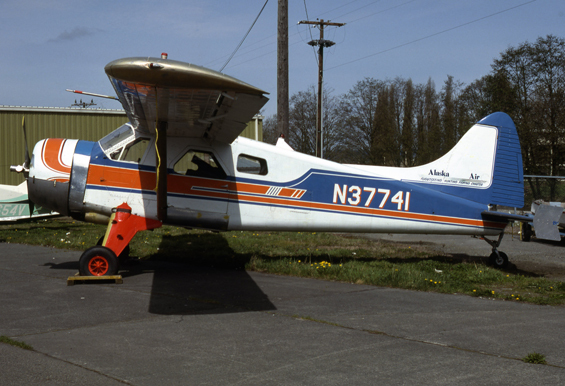 14-Mar-1979 Weight & Balance completed for s/n 269 N37741 by Harold J. Hansen, Seattle, WA. 21-Jul-1980 Lease Agreement; Harold J. Hansen, Seattle, WA., to Hyack Air Ltd., New Westminster, BC, 21-Jul-1980 - open-ended. 24-Jul-1980 Harold Hansen requests to FAA to cancel registration of N37741. 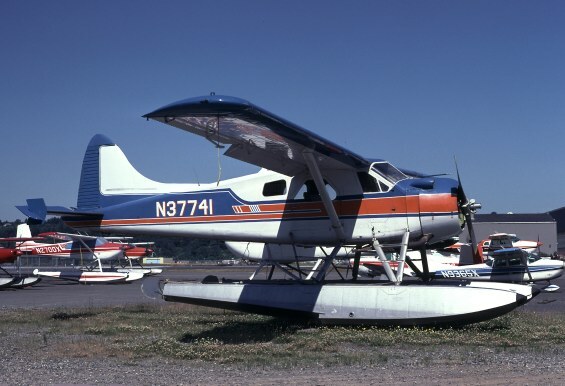 25-Jul-1980 Allotment of registration C-GMSX to DHC-2 s/n 269 for Hyack Air Ltd., BC. 25-Jul-1980 Application for Certificate of Registration by Hyack Air Ltd.
• C-GMSX Imported to Canada & regd 25-Jul-1980. 25-Jul-1980 Provisional Certificate of Registration and Certificate of Airworthiness for test flights within 25 mile radius of Vancouver International Airport. 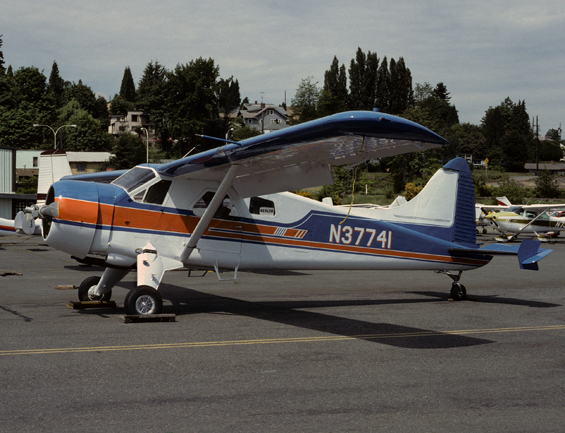 • C-GMSX Leased to Hyack Air Ltd., New Westminster, BC. 28-Jul-1980 Certificate of Airworthiness issued. 28-Jul-1980 Certificate of Registration issued to Hyack Air Ltd., New Westminster, BC (under lease from Harold J. Jansen). 03-Jun-1981 Certificate of Transfer of Ownership; Hyack Air Ltd., to Burrard Air Ltd.
03-Jun-1981 Lease Agreement; Harold Hansen to Burrard Air Ltd., 12 months. 03-Jun-1981 Application for Certificate of Registration by Burrard Air. 05-Jun-1981 Certificate of Registration issued to Burrard Air Ltd., Port Moody, BC. (under lease from Harold J. Hansen). 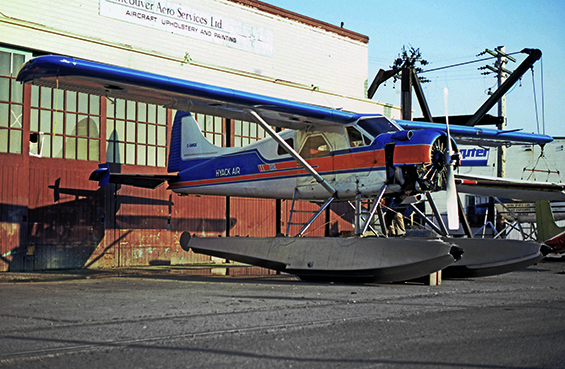 • C-GMSX Burrard Air Ltd., Port Moody, BC. Leased 1981. 03-Jun-1982 Lease to Burrard Air expired. 25-Jun-1982 Burrard Air advises Department of Transport that C-GMSX to be returned to USA (Alaska) as N49443. • C-GMSX. Canx on export 07-Jul-1982. Total Hours since new as recorded by Department of Transport in Canada. • N49443 Jul-1982 Details unknown. Note Shawano Conversion in 1983. 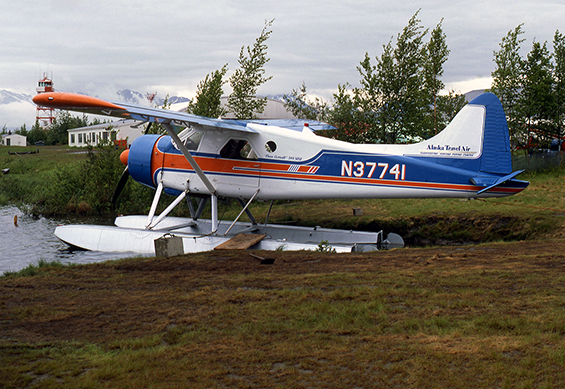 • N3129S Alaska North Flying Service. Anchorage, AK. Date unknown. • N3129S Peter B. Iverson, Eric H. Akola, Robert J. Forkas, Robert H. Franz & Helmer Directional Drilling Inc., Anchorage, AK. Regd 05-May-1983. Accident. Iliamna, AK. 20-Aug-1983. During a low level caribou spotting flight, the aircraft got into a downdraft (300ft) and collided with hilly terrain. Pilot and one passenger sustained serious injury. Three passengers received minor injuries. ANC83LA151. • N3129S Canx “administratively” 15-May-1984.